And so I began weeks of prayer. Instead of looking at curriculum websites and listening to all the benefits of using their program, I thought about my young family. What do we have time for? What do I want homeschooling to look like in our home? Who are my children? How do they learn? Oh wait--an email for a curriculum sale! Can I buy something?! No. Okay. I get it, I’ll just pray. I have evaluated questions like these many times before. I believe vision casting is key--especially when you are setting out on the sometimes-isolating journey of home education, feeling the subtle skepticism of some around you. But medical challenges in our family caused me to re-evaluate my methods, priorities, and limitations. I’m thankful they did. I decided to look for someone farther along in the journey than I was to glean from. The non-negotiable part of my homeschooling day is cuddling up with my kiddos on the couch for a devotion and reading time. We read. And read. And read. I learn so much about the way their minds work as we experience stories together. Anyway, I sought out someone with the same values. Of course Sarah Mackenzie is the leading cheerleader for Christian parents to read to their kids. It turns out that she has a very similar Meyers-Briggs personality to me, so it makes sense that I am so inspired by her. I prayed through a lot of Sarah’s resources. This helped me narrow down my focus and my curriculum choices. Then I made a schedule of what our ideal day would look like. Would we have time for the curriculum I was looking at? Were these programs really accomplishing the goals I had set? Did the books provide opportunities to disciple and shepherd my kids? When I was confident I was committing to the appropriate amount of materials, I felt peace to purchase the items. I very clearly felt I was supposed to do less and do it well before I could consider adding any more to our day. Sarah says, “What our kids need most is a calm, happy mother to homeschool them”. I so agree, and I felt certain that I was on the right track. The books arrived. They fit so nicely on their shelf without being overcrowded by expensive books that would barely be opened. The school year began. I felt such peace about the Lord’s direction. She agreed it would be great to talk more, and we got together a few weeks later. Awhile into the conversation I found out that Lily has a blog. She loves to pour into moms and encourage them where they are at. So I went home so excited to have a friend with so much in common. And then I started reading her posts. My stomach sank as I looked at her homeschool schedule. She was doing more than me. She had different curriculum than I did. She even had time to blog about it. I must have bought the wrong books. I didn’t even know some of these existed. I must not have researched enough. Basically--I was doing it wrong. Have you had those moments? Those days? Those weeks? There are times God puts people in our path to give us wisdom. And there are other times He has already given us the wisdom and we need to stick with it. We all have different personalities and different life situations, and we need to be faithful to who we were made to be. I’m sure you’re laughing at how quickly I had forgotten my prayerful process. God had so calmly and patiently guided me through the steps to create peace and joy in my home. And it was working. I was loving my days. I had learned so much about my kinesthetic-learning second-grader, and he was having a much better year. My kindergartener and preschooler were thriving with the curriculum I bought. My baby was faithfully napping according to the schedule I had set. I was spending more one-on-one time with each child, aiming to foster security in their hearts. We were off to a great start. Until I let the lies creep in. Who snuck in on me? Who told me I was naked/not enough? I did. No one else. I said I wasn’t good enough. I said I needed to do more. I let comparison rob me of joy. Did Lily do anything wrong? Absolutely not! She was just being a woman after God’s heart. I was disappointed with myself, and the fact that I couldn’t do everything I had once planned on doing. Seeing someone else able to meet those goals was difficult for me. But obeying the Lord and surrendering our plans is what we are called to do. I hope to be a cheerleader for her as she follows after God’s direction for her family. I don’t want my sensitivity for comparison to stifle relationships. To be honest, I was over this episode of comparisonitis pretty quickly, but I share it because I was amazed that after all of that prayer I was so easily able to doubt God’s leading in my life. So how do we protect ourselves from comparison? Do we vow to never read a blog post, look on Instagram, Facebook, or Pinterest? Avoid all parks, play dates, and mom groups so we don’t have to hear about all the things we aren’t doing with our kids? Do I even need to answer that one? Of course not. It’s not where we go that’s the problem. It’s how we go. (Although sometimes a social media fast is in order to protect our hearts.) God gave you your kids. He chose the genders, the order, the birthdays, their personalities, their coloring, etc…, etc…, etc…. And He gave them YOU. With your experiences, your idiosyncrasies, your cooking abilities, your laundry folding preferences, your love languages. He gave them YOU. No one else on this earth is going to crank out a kiddo just like yours. (And that’s a good thing!) And no one else should have exactly the same parenting game plan. God knows you and knows your kids, so He should be leading. As we seek Him each day for wisdom, embracing His plan with confidence, we can shrug off the urge to compare and encourage our sisters. I think it’s also key that we write down or journal the guidance He gives us so that we can look back and be reminded we are where we are supposed to be. Sharing these revelations with a friend is also very helpful! Let’s press on in His wisdom! Posted on February 22, 2019 by Stephanie Hickox and filed under Building Your Family, Building Your Faith and tagged wisdom faith. A lemon cake is baking in my oven right now. It is the 13th lemon cake baked in my kitchen in as many years. Here is the true story of why, and how and who it is for. On January 6 of 2003, a day we’ve come to call Bloody Monday, David was told that he no longer had a job—as of that day! The natural reaction to conserve kicked in. He called to let me know this had occurred and that there would be a moratorium on spending. My deepest concern, even more than the natural reaction of “what are we going to live on?” was how my sons would perceive God, what would they think of him when the church that claims to love and obey him was so callous? Would they be able to separate the two? Would this shipwreck their faith? I pondered this for a couple of days. Meanwhile, I realized I had made commitments, which I felt would have to be fulfilled, regardless. The first of these promises was a batch of cookies. These had to be made and taken to the kindergarten class to celebrate Michael’s 6th birthday. They were going to be Veggie Tale cookies. I already had the cookie cutters: Bob the tomato and Larry the cucumber and budgeted for the baking ingredients. I also told Michael that I would get a lemon cake mix per his request, and bake it for his special day which would be on that Wednesday. While shopping for the cookie ingredients and cake mix, I remembered that I actually had a yellow cake mix at home already! I had to honor David’s wishes—no extra spending! Yikes!!! Although I felt in good conscience about spending for the cookies to give away, I didn’t feel as free to buy another cake mix—a lemon cake mix—when I had a perfectly good yellow cake mix at home. I would just have to explain it to Michael—he would understand, after all he would be 6 years old! When I broke the news to him he accepted it like a little man! Phew! It was now Wednesday, January 8, Michael’s birthday. I started to bake that yellow but decidedly very un-lemon cake! First, however, I would need to get my mixer blades back from my neighbor, Laura, who had borrowed them some time ago. I called that morning to say that I was baking that afternoon (I did not tell her why or what) and could I pick up my mixer blades? I went over later and she handed me a grocery bag with some movies she’d borrowed, the mixer blades and since she’d been feeling guilty for keeping my stuff for so long, she threw in something from her pantry…a lemon cake mix! I remember pulling that out and giving it to Michael, he began running around the house shouting--“How did she know?! How did she know? !” I just answered, “God knew!” Right there beside me were my other two sons, Andrew and Nate. They were seeing this miracle, knowing that no matter what or who brought us to such a difficult place that God did not forsake us and beyond that, cared for a little boy to the fine detail of the flavor of his birthday cake. I determined from then on that Michael would always have a lemon cake on his birthday and that we would remember that God cares for us personally. He cared for my sons. 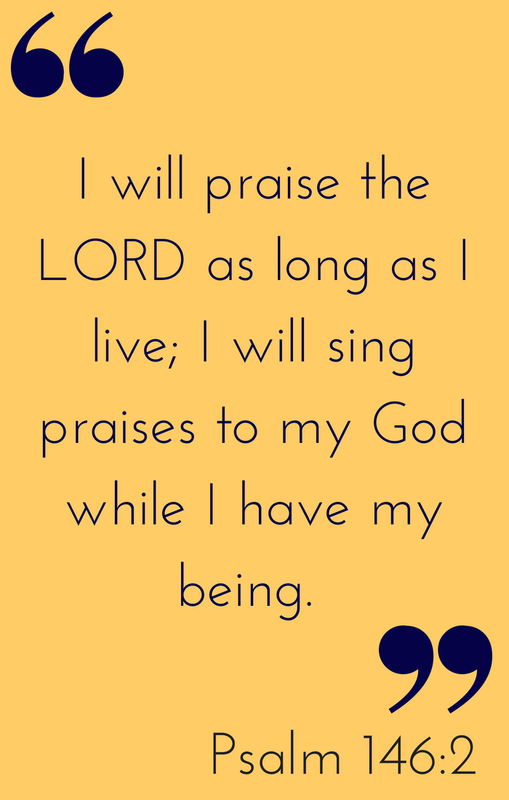 I’ll ever praise him (Psalm 146:2) and let this be a reminder that it is my job to obey—He will provide! Today, then, I’m baking what might just be the last lemon cake; after all Michael said recently now that he’s all grown (18 years old) this should be the last lemon cake—I didn’t promise anything! Posted on July 13, 2018 by Helen Jones and filed under Building Your Faith and tagged marriage faith. Why Did God Place the Tree in the Garden? At first glance, it might seem like the ultimate form of entrapment. Perhaps it feels like God decided to play a game of cat and mouse with His new creations for the sake of His own amusement. Or maybe it feels like God was conducting a divine experiment, the outcome of which He did not yet know. Nothing could be further from the truth. God had a perfect plan for the trees. Yes, trees. There were two special trees in the garden: the “tree of life” and the “tree of the knowledge of good and evil.” Adam and Eve were only forbidden from eating of the tree of the knowledge of good and evil. There was nothing unfair or deceptive in God’s placing the trees in the center of the garden. Nothing that Adam and Eve needed was being withheld from them—at least nothing that would improve their lives. They had all that they could need. There was also nothing in God’s command that was beyond their capacity to keep it. The garden was the place of perfect fellowship with God—a holy place. At the center were the tree of life and the tree of the knowledge of good and evil. Adam was put in charge of the garden but he failed in his duties. He allowed a foul creature to desecrate the holy place and gave dominion of it to Satan by falling for his scheme and eating of the fruit. Sin did not originate with Adam; it originated with Satan. Adam had no predisposition to sin before the fall but He gave into the temptation from Satan (through Eve). It’s interesting how easily we can be made to believe that we “deserve” something we don’t have, and then disobey God to get it, rather than trust Him for what He has provided. God would actually banish Adam and Eve from the garden for their protection so that they would not eat of the tree of life (Genesis 3:24). It they had eaten of that tree in their sinful state, they would have existed forever as fallen beings without hope. God reveals His justice in condemning the serpent (Satan and his seed). He also reveals His mercy in dealing with Adam and Eve by providing a Way of salvation for the guilty. The first mention of the gospel in the Bible is in Genesis 3:15, “And I will put enmity between you and the woman, and between your seed and her seed; He (Jesus) will bruise you on the head (destroy evil forever) and you (Satan) shall bruise him on the heel (unsuccessfully attempt to destroy his plan).” The final outcome will be that those who are in Christ will live in a restored Eden (heaven) without the presence of evil. Did God place the trees to trick Adam and Eve? Certainly not! God is light and in Him is no darkness at all. He is perfect in all of His ways. He is love. He has numbered every hair on our heads, and holds every one of our tears in a bottle. He knew us before the foundation of the world, knit us together in our mother’s wombs, and is intimately acquainted with all of our ways. God loved the world so much, that He gave his only Son as the payment for our sin, so that whoever believes in him could have eternal life. So how can we let this grow our faith? First of all, take comfort that God doesn’t do anything lightly. He does it purposefully. He has our best interests at heart. When hard things happen, when awful tragedies strike, and when life seems its most unfair, God can be trusted. He will be faithful to you. His plans are perfect, and His motivation is that the world would come to see Him as He really is and glorify Him. Secondly, He will not abandon you. I believe it is good to ask these questions of the Bible. Study reveals time and again the great lengths to which God will go to save and provide for His people. He has promised that He will not forsake you in your time of need. He is the God who saves. And lastly, He longs to be in a relationship with you. Do not harden your heart. Today can be the day of your salvation. Accept the payment for your sin that Jesus made on the cross, and believe in Him for eternal life. The tree of life means that God’s intent for humanity was always life and not death. The tree of the knowledge of good and evil was there because God is holy and we are to obey him. Those who trust in Jesus Christ by faith will live in the restored Eden and partake of the tree of life. Posted on July 8, 2017 by Betsy Corning and filed under Building Your Faith and tagged faith. The Bible teaches us that all people are sinners from birth; we have inherited the sin nature of Adam. “Therefore, just as through one man sin entered into the world, and death through sin, and so death spread to all men, because all sinned” (Romans 6:12). We know this is true because even infants die. When Jonah proclaimed the need for repentance to the Ninevites, 120,000 of them are described as “not knowing their right hand from their left” (Jonah 4:11). This is a description of young children unable to understand their standing before God. The Lord views them as “innocents” and claims them as His (Jeremiah 2:34; 19:4). He takes special notice of their mistreatment, abuse or death. Young children are not held culpable in the same way as those who understand their sinful state and willingly rebel against God. This includes children even of unbelieving parents or in heathen cultures. Children are not held accountable for the sins of their parents or vice versa. Each person will give their own account to God for how they lived (Romans 14:12). Ezekiel 18:20 provides the principle, “The soul that sins shall die.” So if the Lord does not hold infants and young children culpable for their sins, when does He? No specific age is given in Scripture. However, the Hebrew culture understood young people to be morally mature by age thirteen and able to understand their accountability to God. 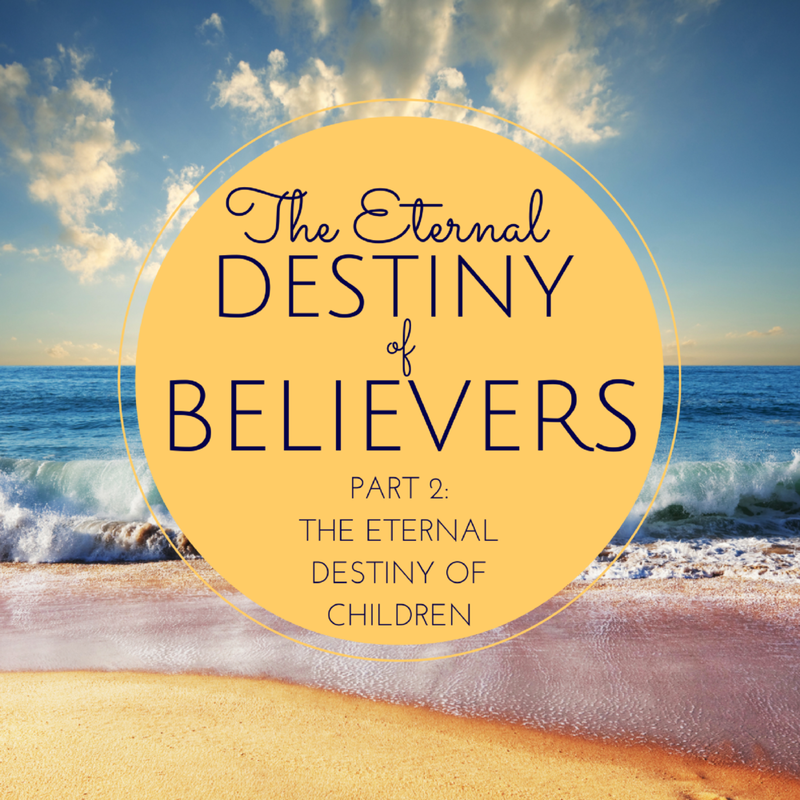 What is the eternal destiny of a child whose earthly life has ended? What about the millions of babies who do not reach term due to miscarriage or abortion, who are stillborn, succumb to SIDS (Sudden Infant Death Syndrome), or who live for several years and die due to accident or illness? David and Bathsheba mourned the death of their son but not as those around him expected. David’s grief dissipated with the assurance that the child had left the earth to be with God in Paradise. David was greatly comforted by this. He knew that he would be reunited for eternity with this son. However, years later David would lose another son – Absalom, who tried to wrest the kingdom from his father. David was greatly distraught upon this son’s death crying, “O my son Absalom, my son, my son Absalom! Would I had died instead of you, O Absalom, my son, my son!” (2 Samuel 18:33b). It might have seemed that David would have been relieved to have his kingdom restored and the threat against it removed, but his greatest concern was for his son. He knew that Absalom lived in rebellion against man and God. His deep grief and anguish were over the eternal destiny of his son away from the presence of God. David’s chief concern was that he would one day be reunited with his loved ones in God’s Kingdom. The stark realization that Absalom would not be there was the greatest grief his heart could bear. Do you know someone who is grieving the loss of a child? Care for them. Only they can determine the length of their grieving over such a profound loss. However, comfort them with truth and pray for their hearts that they can be encouraged in knowing that children who die go immediately into the presence of God as do all believers. They fall asleep until the Lord resurrects them and reunites all believers for all eternity. Help them understand their own eternal destiny before God. Have they personally believed on the saving grace of Christ for their own salvation? Jesus Christ will once and for all be victorious over sin and death. Pain and sorrow will be no more. 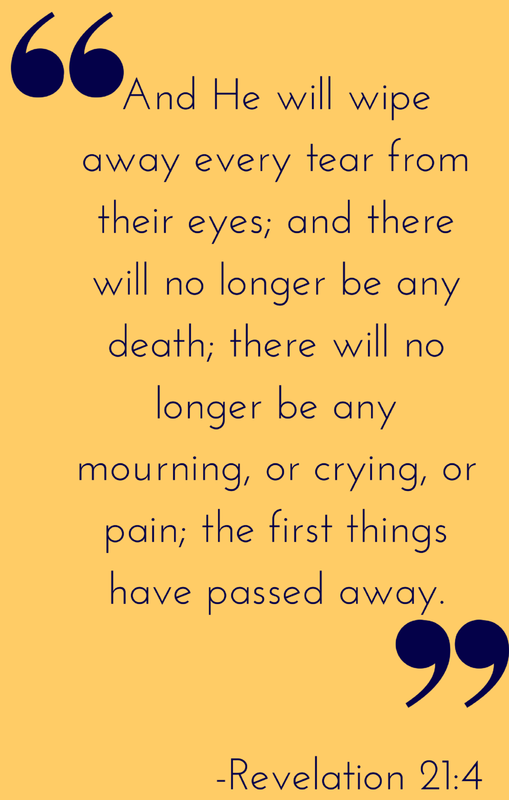 “And He will wipe away every tear from their eyes; and there will no longer be any death; there will no longer be any mourning, or crying, or pain; the first things have passed away” (Revelation 21:4). Let us be encouraged and strengthen one another in this marvelous hope! Posted on January 27, 2017 by Betsy Corning and filed under Building Your Faith and tagged encouragement faith. Life is precious. It is also fragile. It is to be regarded as sacred and God-given. Indeed, life is a gift, a reward, “Behold, children are a gift of the LORD; the fruit of the womb is a reward” (Psalm 127:3). Since life is such a precious and sacred gift, it should be celebrated as such. A pregnancy is the news of a new life and that life is a person from conception. The Lord has intricately and masterfully knit our parts and systems together into miraculous living creatures. Psalm 139:13-16 states, “For You formed my inward parts; You wove me in my mother’s womb. I will give thanks to You, for I am fearfully and wonderfully made; Wonderful are Your works and my soul knows it very well. My frame was not hidden from You when I was made in secret and skillfully wrought in the depths of the earth; Your eyes have seen my unformed substance; And in Your book were all written the days that were ordained for me, when as yet there was not one of them.” But human beings are much more than mere living creatures. We are created in the image of the living God and with an eternal soul; every one has an eternal destiny. And because God is the giver and sustainer of life, all lives belong to Him. Our Heavenly Creator imbues us with His breath of life at birth and we die when He removes it (Genesis 2:7; Daniel 5:23). He sustains us with the gift of every heartbeat. We cannot live one day beyond the number He has chosen for us. Job 14:5 says, “Since his days are determined, the number of his months is with You; and his limits You have set so that he cannot pass.” In other words, as I have heard former Moody Church Pastor, Erwin Lutzer say, “We are all born with an expiration date which has been pre-determined by God.” It is not the prerogative of people to intervene and take life at any point. If we were to continue to read Psalm 139 we would see that God’s view of us is that we are precious from conception. He knows absolutely everything about us even before we are born! God’s ways are beyond our comprehension and some are kept secret from us for our own sakes. Deuteronomy 29:29 declares, “The secret things belong to the Lord our God, but the things revealed belong to us and to our sons forever, that we may observe all the words of this law.” What God has revealed in His Word is enough for us because He has revealed all we truly need to know for this life. The New Testament states it this way, “Seeing that His divine power has granted to us everything pertaining to life and godliness, through the true knowledge of Him who called us by His own glory and excellence” (2 Peter 1:3). In Christ and through His Word, we have all that we need to live obediently in this world. Therefore, as we study these topics we look to the Word of God for the answers. The fact that a culture or an historical time period might espouse a different or even opposite view does not change the absolute authority and immutability of God’s Word. Our Heavenly Father knows what knowledge is too great for us or too difficult to bear. Certainly knowing the length of our lives in advance would be one such burden. How much greater a burden if we knew that our children would precede us in death. When my husband and I learned that our 18-year-old had cancer our first thoughts were that we wished it were us instead. Our second was, “This is the Lord’s will for us and we will walk through it by His grace.” The fragility of life became so real to us. We had received the news just two weeks after Lee’s High School graduation. As I walked by the posters of his life in photos prepared for his graduation celebration, I could not help but imagine as a young mother thinking, “This sweet little three-year-old will have cancer in 15 years or this teeming-with-life twelve-year-old will have cancer in six years. Had I had this knowledge in advance it would have been even more difficult. After rigorous treatments, we praise God that He has healed Lee from cancer and fourteen years later he is still clear. How much more difficult to endure the treatments and then lose the one you love? Even if elderly, the process is difficult to bear. Or to suddenly lose your loved one with no preparation or advanced warning? No chance to express love, say goodbye, ask forgiveness for hurts and wrongs—and no chance to encourage one another with our ultimate hope in Christ of being reunited for all eternity in heaven. The reality is that death will claim us all. However, we can know that in Christ, death will not ultimately be victorious. That is why Solomon could say in Ecclesiastes 7:1a, “Better is the day of one’s death than the day of one’s birth.” At birth, we have all of life ahead of us and with that all the struggles of living in an unrighteous world. However, upon death the believer is immediately ushered into the presence of God where there is no more pain, suffering, or anguish. God comforts the surviving believers with His unfathomable grace. Losing a loved one leaves a gaping hole. And since pain exists upon the earth those who remain grieve their loss. However, believers in Christ do not grieve as those who have no hope. I Thessalonians 4:13, “But we do not want you to be uninformed, brethren, about those who are asleep, so that you will not grieve as do the rest who have no hope.” I find comfort in knowing that the Bible describes the death of believers as “falling asleep” (I Thessalonians 4:14) and that God takes special notice of their deaths. “Precious in the sight of the LORD is the death of His godly ones” (Psalm 116:15). God has a purpose for each life even if that life appears (to us) to have ended prematurely. Tomorrow we will continue this discussion with an emphasis on the eternal destiny of children. Posted on January 26, 2017 by Betsy Corning and filed under Building Your Faith and tagged encouragement faith. Holidays bring about settings of beautiful tables, with families welcomed into our homes to share a carefully prepared meal. A table is arranged and an extra trip to the store adds just the right touches. 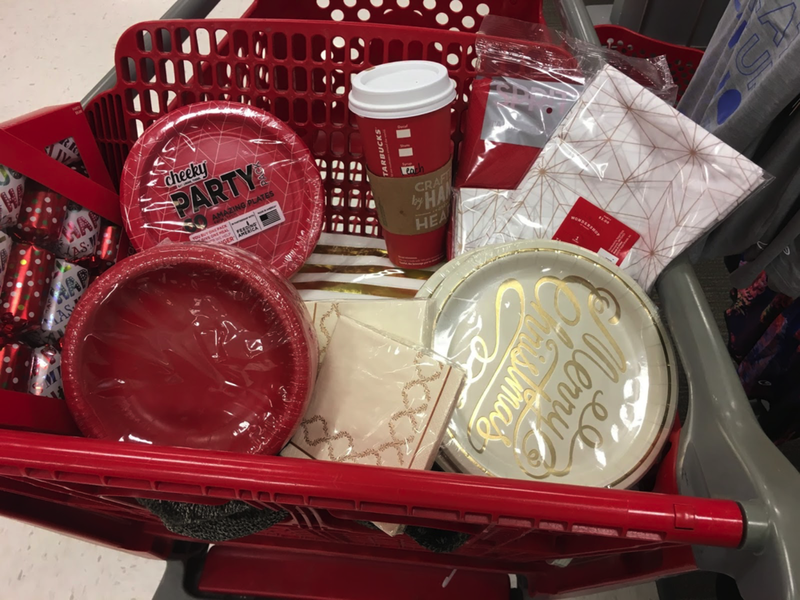 Napkins, greenery and tablecloths are purchased, the menu is planned, and we eagerly anticipate the celebration. All for a moment to share a meal, laughter and good conversation with those special people in our lives. But then the holidays pass. 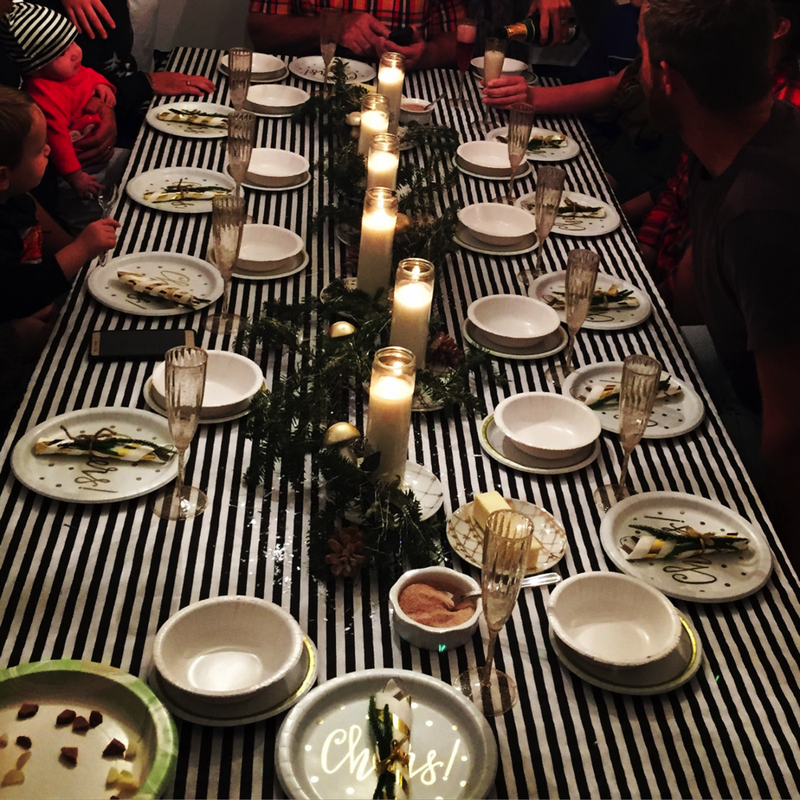 Thanksgiving is over and Christmas is celebrated, the New Year is brought in with parties and good cheer, and often our tables sit strangely empty and quiet... and life gets back to "normal." We wait for the holidays to return again before we make those special, heartfelt preparations in our homes and at our tables. What if we changed that this year? What if the setting of our tables and the preparation to welcome friends and family into our home became a monthly practice in the everyday reality of life? 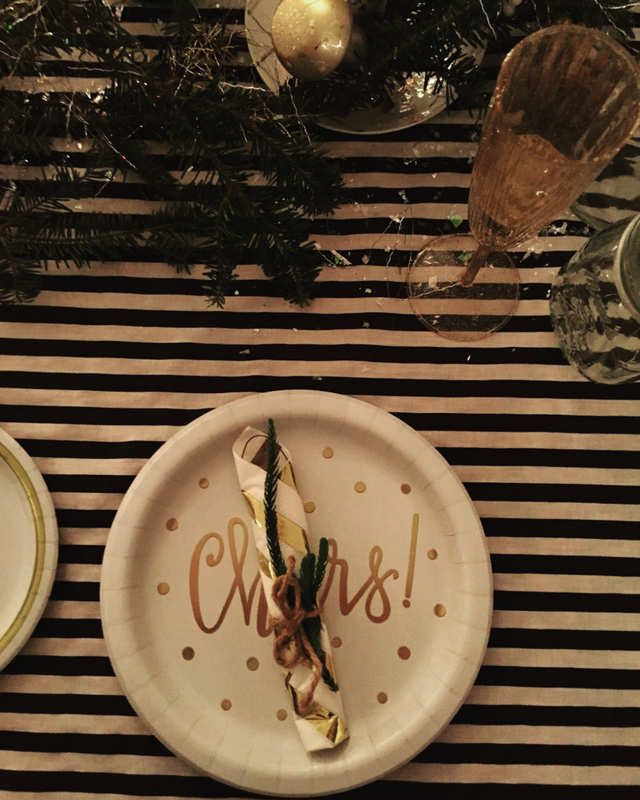 What if, instead of waiting for the holidays, we set our table to simply sit and tell the stories of God’s goodness in our lives? (There is something very powerful about speaking of His goodness—out loud.) How do we go about sharing from a personal place the very glory of the handiwork of God? Where can we tell our stories? I think for day in, day out life, it might be at the table. Over a meal. Sharing these real-life stories of God with the people around us—including our children—is a tremendous opportunity to build into the next generation that they may KNOW God, in order that they might pour into the generation after them, so that many may come to KNOW God. 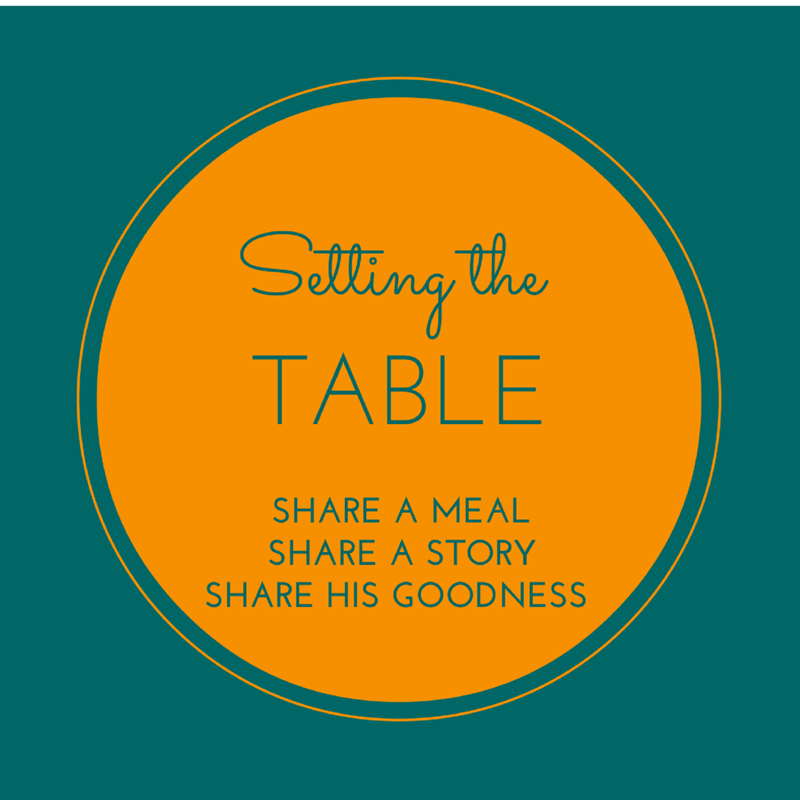 At the table is where we could share a testimony of God’s faithfulness through a difficult time. At the table is where we could flesh out what faith and trust and a relationship with Jesus looks like for each of us. I want to create that at the table. I want to set that as my expectation for this New Year. To invite families over and make it happen in the crazy, busy mess of everyday life. Dinners where we hear of the goodness of the Lord in others’ lives. Where amazing testimonies are shared. Or a "this too shall pass" moment in time is told, and the glory of the goodness of the Lord is declared. For our children to hear ... and for them to pass down from generation to generation. For our own hearts to perceive—from one believer to another. Let us not neglect the practice of gathering together—holidays or no holidays. Let us come to the table and share. Share a meal. Share a story. Share His goodness. Posted on December 30, 2016 by Heidi Wolf and filed under Building Your Faith and tagged faith homemaking. If you’ve been around a typical Evangelical church or Sunday School over the past few decades, it’s quite likely you’ve heard these Bible stories “summarized” in the ways listed above. I know I have—and I’ve even passed these ideas on to my children through some of their children’s story Bibles and other sources. While these sentiments are not wrong, and we certainly can learn from the examples of God’s people (good and bad), I am encouraged by a relatively newer trend I’ve observed lately in some of our churches and Christian publishing companies. The trend I’m referring to is simply a return to an emphasis on God Himself as the main character of the Bible. Rather than seeing each story as an opportunity to teach a character quality we’d like to emulate (or see our children grow in), we can show them the Big Picture of God’s story throughout the ages. Our pastor taught a sermon series last year entitled, “The Story of the Bible,” which he defined as, “God’s promise to become famous among all nations, for His glory and our salvation.” He walked us through some major points in Scripture, week by week enabling us to see that these are not a random collection of unrelated stories about mankind trying to please God, (some more successfully than others,) but rather, a very intentional sequence of events that all reveal a holy, loving, all-knowing and all-powerful God Who wants to be known, loved, and worshipped—for His glory and our good. In that order. Maybe you already know this and have been teaching your children in this way. If so, keep it up! I just know there are some very low views of God (and consequently high views of man) that have infiltrated our churches in recent history. We would all do well to begin to rethink the impression we might be giving our children—or anyone else in our sphere of influence—when we simply say, God loves you and has a wonderful plan for your life. Not that this statement is untrue; it’s just incomplete and communicates the wrong priority. This is one reason I appreciate Betsy’s teaching in Entrusted with a Child’s Heart. She has encouraged parents to rightly train children to fear and to love the Lord—not just because it is in their best interest—but because He is worthy. If your children are still at the preschool stage, this proper view of God can be found in many of the newer children’s Bibles, such as The Jesus Storybook Bible and The Big Picture Story Bible. If you feel as if you, the parent, need to be reoriented in this way, there is much help to be found from ministries like Desiring God, the Gospel Coalition, and Grace to You. Browse their resources, many of which are free and saturate your own mind with the truth that it is all about Him. And as you read your Bible, rather than ask how a story impacts your behavior, try asking what it reveals about our great God or where we might see Jesus in the passage. 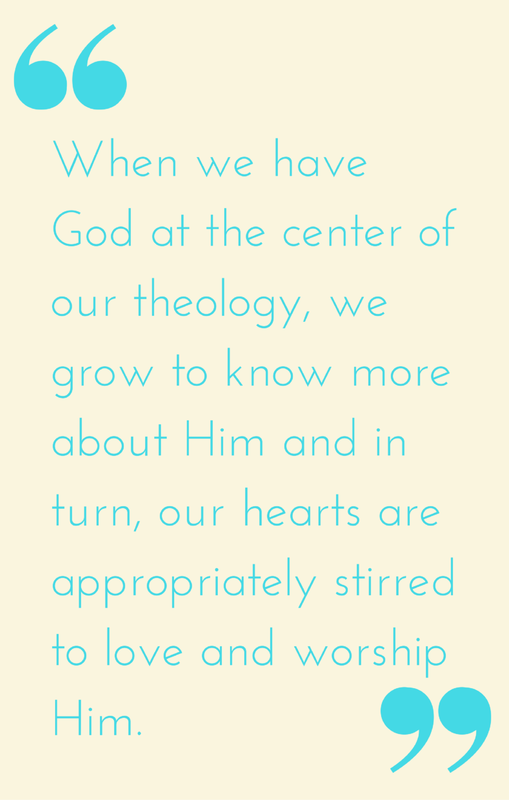 When we have God at the center of our theology, we grow to know more about Him and in turn, our hearts are appropriately stirred to love and worship Him. Consequently, all of our thoughts about our world, our churches, marriages, families, the way we train and discipline our children, all of life is ordered by the desire to bring glory to our great God. There is no greater gift we can give our children or ourselves. As the Westminster catechism’s first question states: What is the chief end of man? And the answer is…to glorify God and enjoy Him forever. Why would we want to live any other way? Posted on November 30, 2016 by Joan Wagner and filed under Building Your Faith and tagged faith teaching faith to kids.